Immaculately dressed, with his trademark cravat, Matthew arrives in good time ready to impress, performing incredible feats of magic with impeccable style and finesse. His personality is charming and his work is distinctly different, offering a unique repertoire which people remember and talk about long after the event. His performance is relaxed and conversational. Refraining from tired 'gags' or embarrassing 'jokes', Matthew offers a magical experience of mystery which has everyone wrapped up in excitement and having lots of fun! 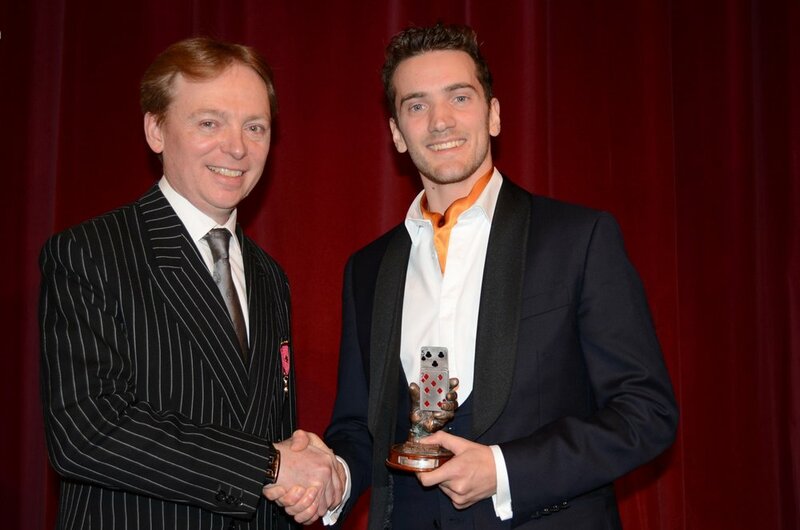 Matthew is awarded 'The Magic Circle Close-up Magician of The Year 2019' making it his third consecutive year to hold the title given by the worlds most prestigious magic organisation, a record which has never before been broken. Matthews Curious Collection of Conjuring Creations. Matthew has refined and perfected his craft for over 15 years, he has a huge repertoire of magic suitable for all social occasions. For reception drinks the magic is quick, interactive and fun and never fails to excite guests and spark conversation. For dinners and afternoon tea the magic focuses on the interaction of the guests sharing the table, a kind of miniature 'show' that creates vivid and lasting memories giving people a shared experience to talk about. REPERTOIRE ONE includes Fire Ring, Pixilated and Strong Man, to name just a few. REPERTOIRE TWO includes Wax Sealed, Travellers Delight and The Remarkable Wine, to name just a few. All content is Copyright to Matthew Le Mottée. Content may not be copied without written permission from Matthew Le Mottée.